Established in 1958, the Merck Medical Outreach Program (MMOP) is the primary mechanism through which Merck donates its pharmaceuticals, vaccines and consumer health products for humanitarian assistance in the developing world and in support of disaster relief and emergency situations worldwide. The Merck Medical Outreach Program (MMOP), managed by Merck’s Office of Corporate Responsibility, is one mechanism through which the company help to expand access to our products especially, in the developing world. The program enables Merck to donate critical pharmaceuticals, vaccines and consumer health products to a limited number of qualified, U.S.-based, private voluntary organizations (PVOs). The scope of MMOP varies from year to year and is influenced by changing medical needs in developing countries, the quantity of Merck medicines available for donation, and the random nature of natural and man-made disasters. Donations of Merck medicines are made primarily through six qualified nongovernmental organizations (NGOs): AmeriCares, Catholic Medical Mission Board (CMMB), Direct Relief International, IMA World Health, MAP International, and Project HOPE. Each of these organizations has a long-standing relationship with the company; demonstrates integrity of purpose; provides assurance that Merck products will be securely warehoused and not diverted, mishandled or misappropriated; and has well-established programs for the ill and needy in developing countries. The company, through MMOP, monitors the NGOs and maintains the controls necessary for the proper distribution and handling of Merck medicines. Merck does not provide donations of expired products or of products with inadequate dating (allows for proper administration prior to expiration). MMOP comprises three components: The Merck Annual Product Allotment Program, Ongoing Donations of Pharmaceuticals and Vaccines, and the Disaster and Emergency Relief. Direct Relief is a non-profit, non-partisan organization that provides medical assistance to people around the world who have been affected by poverty, natural disasters, and civil unrest. Thanks to generous material and financial contributions from individuals, pharmaceutical companies, and medical equipment manufacturers, Direct Relief can work with healthcare professionals and organizations on the ground and equip them with the essential medical supplies and equipment that they need to help people recover from a disaster. Direct Relief’s assistance programs are tailored for the particular circumstances and needs of those who have suffered from the effects of natural and man-made disasters. Direct Relief also establishes partnerships with local organizations to provide health services to people in rural areas of a country that are poor and lack basic healthcare infrastructure. Each year, Direct Relief takes steps to leverage every dollar of assistance that it provides into $30 (wholesale) worth of medical supplies for healthcare professionals to use in caring for their patients. Much of Direct Relief’s assistance programs focuses on maternal and child health, disease prevention and treatment, emergency preparedness programs. Poverty and poor health reinforce each other everywhere, but better access to health services for people stuck in this cycle is integral to positive change on a humanitarian level and for economic productivity. Health has intrinsic value for every person, but it is also essential for people to learn, work, and make a living. Sick people who don’t receive care can’t work, and they get poor or stay poor; and people who are poor are at higher risk of getting sick. Breaking this vicious cycle is an enormously complex endeavor requiring change in many areas other than health services. But under any scenario, better access to health services is essential. Direct Relief’s medical assistance programs equip health professionals working in resource-poor communities to better meet the challenges of diagnosing, treating, and caring for people without regard to politics, religion, gender, race, or ability to pay. Maternal and Child Health - Healthy mothers are the bedrock of healthy, productive families and communities. However, women and children are disproportionately affected by poor health outcomes in developing countries and in the U.S. That’s why Direct Relief’s humanitarian health efforts place particular emphasis on protecting women through the critical periods of pregnancy and childbirth: increasing access to emergency obstetric care, supporting obstetric fistula repair, and equipping midwives. Learn more about Direct Relief’s maternal and child health programs here. Disease Prevention and Treatment - Direct Relief has partnered with corporate supporters and health care providers to prevent and address HIV/AIDS and diabetes. Learn more about disease prevention and treatment here. Emergency Preparedness and Response - Every day, Direct Relief prepares the most vulnerable communities worldwide for more frequent, more destructive emergencies, and Direct Relief responds fast, effectively, and efficiently when disaster strikes to make sure medical resources are where they need to be to save lives. Strengthening Health Systems - Direct Relief’s longstanding approach of supporting locally-run facilities providing essential health services is a key strategy in 72 countries, including the U.S.
MAP International is a global Christian health organization that partners with people living in conditions of poverty to save lives and develop healthier families and communities. Recognized for our 99% efficiency rating, we respond to the needs of those we serve by providing medicines, preventing disease and promoting health to create real hope and lasting change. Our mission is to advance the Total Health of people living in the world’s poorest communities. We carry out that mission in the broad programmatic areas of community health development, disease prevention and eradication, relief and rehabilitation and global health advocacy. With an extensive global procurement and logistics network, MAP International is unrivaled in its ability to get hundreds of millions of dollars worth of vital medicines and critical supplies into the hands of health professionals serving people in the world’s poorest communities each year. By increasing access to these resources, MAP prevents illness, treats disease and improves the health of children and their families. Since 1954, MAP International has provided nearly $5 billion in medicines and supplies to over 2 billion people in need. We serve 30 million people annually in over 115 countries. In times of disaster, MAP International provides immediate humanitarian assistance and relief aid including medicines and healthcare supplies to people left homeless and without access to basic services. From the earliest days of a response, we also begin to focus on helping communities restore and rebuild health systems and lay the groundwork for long-term health development activities. 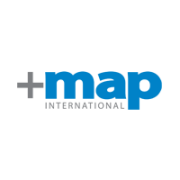 MAP International is a highly effective, efficient and transparent non-profit organization recognized by Forbes Magazine, Charity Navigator, Better Business Bureau and others. 99% of donated resources go directly to programs. For every dollar donated, $60 in medicines and medical supplies is shipped to those in need. Their mission is to advance health and healing to vulnerable and marginalized people the world over. IMA World Health, a specialist in providing essential healthcare services and medical supplies around the world, is a nonprofit, faith-based organization working to restore health, hope and dignity to those most in need. They work primarily in the developing world, where an estimated 30 to 70 percent of health care is provided by faith-based organizations. 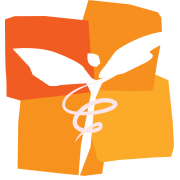 IMA is the largest US-based, ecumenical, international health organization, and is widely recognized for its effective and careful use of resources. Highly Efficient – Efficiency is part of their culture. IMA was named one of Forbes' 20 most efficient charities two years in a row and has received Charity Navigator's highest efficiency ratings five years running. Expertly Effective – Their programs have become internationally known for creating sustainable long-term health care solutions in areas with little to no existing health care infrastructure. Faith-Based – IMA is uniquely equipped for their work in the developing world, where 30-70% of health care is provided by faith-based organizations (FBOs). Their partnership with other FBOs, coupled with their close work with governments and other health care partners, gives IMA a unique capacity to make significant impacts. Since 1960, IMA's programs have reached millions of people in need in many corners of a hurting world, in developing countries and areas ravaged by war, disaster and poverty. In the past 50 years, IMA has provided more than $1 billion in medicines to over 52 countries and their capabilities continue to expand. Their work is never done; wherever there is disease or disaster, IMA will work to bring hope through health and healing. IMA is headquartered in the beautiful rolling farmlands of New Windsor, Maryland, USA. We currently have field offices in Tanzania, Haiti, the Democratic Republic of Congo (DRC), Southern Sudan, and Kenya. 1. Provide essential medicines and medical supplies – Their various international public health programs, IMA Medicine Boxes®, Safe Motherhood Kits™, Healthy Kids Kits and targeted donations deliver urgently needed supplies to those to need them most. 2. Fight diseases – In addition to HIV/AIDS care and treatment, IMA has a long history in targeting diseases that don’t always make the news, including Neglected Tropical Diseases and the dangerous and disfiguring, yet treatable, childhood cancer Burkitt’s Lymphoma. 3. Educate and train people – They empower community health workers, health networks and health care personnel with skills and knowledge to improve care and save lives. 4. Seek long-term, sustainable solutions – The DRC and Southern Sudan are models of improved long-term health care programs that will continue to benefit millions long after IMA’s direct involvement ceases. Whether responding to a natural disaster or the health needs of a war-torn population, IMA's programs focus on improving the accessibility and quality of health care among people who need it most. Staying true to their roots, IMA continues to send essential medicines and supplies all over the globe where they are needed most. Preventable and treatable diseases affect millions of people every year. IMA's programs target specific diseases that plague the developing world to reduce and, hopefully one day, eradicate them. IMA strives to develop sustainable health care programs that will continue to succeed long after their involvement ends. Through training, IMA is a key player in building the capacity of workers and hospitals to provide long-term, quality health care services. In many developing countries, health care systems are simply not robust enough to meet the extensive needs of the people. IMA works to strengthen these systems to reach more people and improve the quality of care. In order to provide quality health care, it is essential to know what resources are available. IMA supports sustainability by developing systems for tracking and analyzing data and by training workers how to use them.